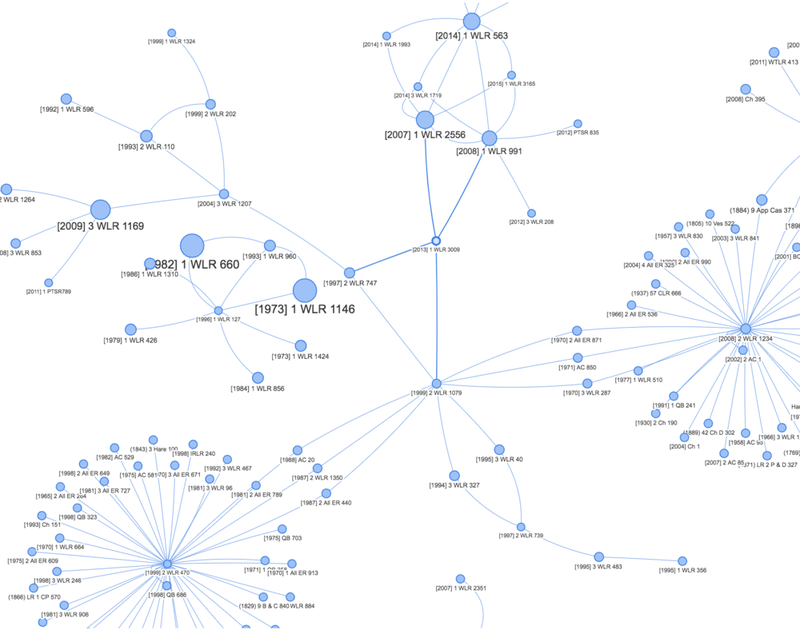 I recently posted a few images of a network graph I built with Neo4j depicting the connections between English cases. 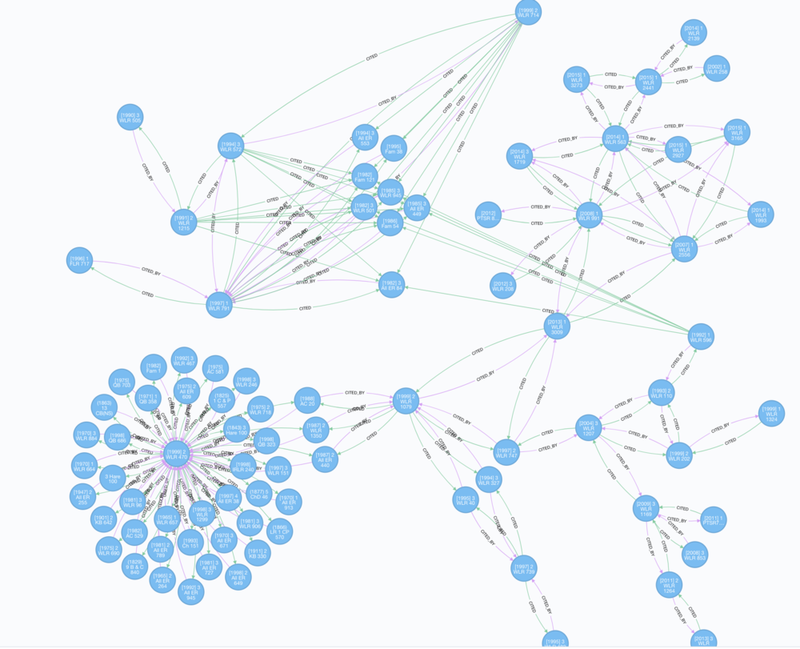 This article serves as a quick write up on how the graph database and the visualisations where produced. In the snippet of data above,  1 WLR 3238 can be seen to have CITED three cases,  AC 129,  1 WLR 366 and  1 WLR 980. Moreover,  AC 129 can be seen to have been CITED_BY  1 WLR 3238. The query above is a standard import query that created a node (:Case) for each unique citation in the source data and then constructed two relationships, :CITED and :CITED_BY between each node where these relationships existed. This stored each case's PageRank as a property, pagerank, on the case node. initial_cypher: "MATCH p=(:Case)-[:CITED]->(:Case) RETURN p LIMIT 5000"
To add colour to the various groups of cases in the graph, I used a hacky implementation of the label propogation community detection algorithm (I say hacky, because I didn't set any seed labels).